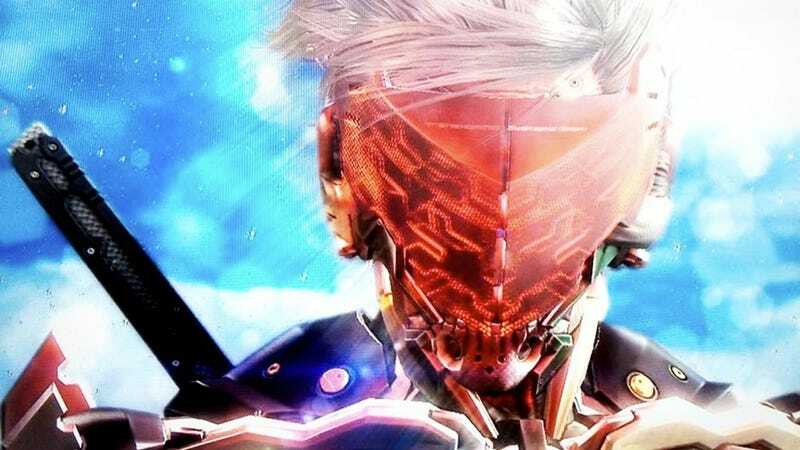 Here's a photo of Raiden from the Metal Gear Rising demo that will appear at this year's Tokyo Game Show. The image was snapped off a TV, but damn, it looks good. And check out those skies. There's another image below, and heck, it looks nice, too. For all the too-good-to-be-true screenshots that often plague the game industry, it's refreshing to see shots like this. Metal Gear Rising, which stars Raiden, was developed by Platinum Games, the studio behind Bayonetta.